I wanted to make a card for a man/boy because usually most of the cards I make are girly. I made this card for two challenges and one is a sketch. So I cut the squares using my 1.5 inch square paper punch then used my corner rounder (one of my favorite tools), and then inked the edges using Distress Ink in Spiced Marmalade. 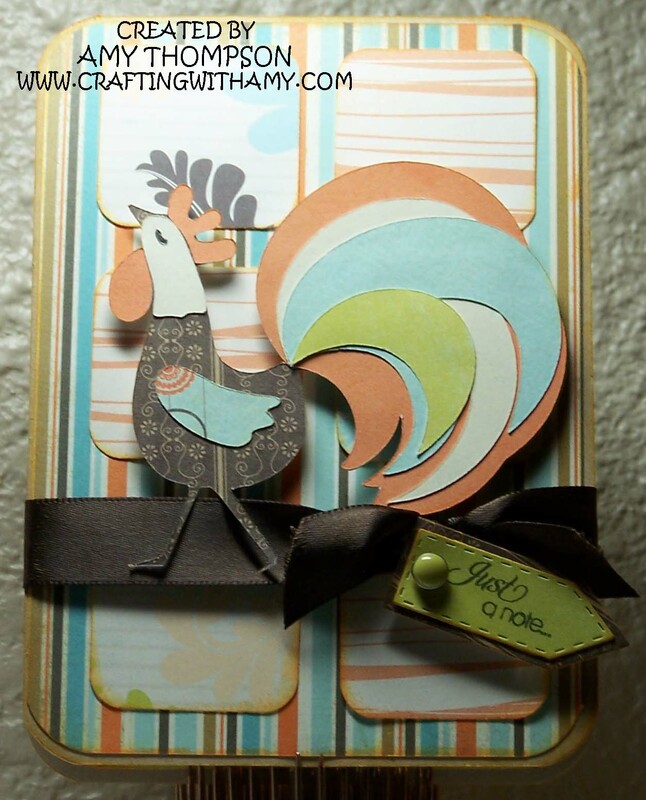 The paper I used was a 6x6 paper pad from Fancy Pants called Summer's End. 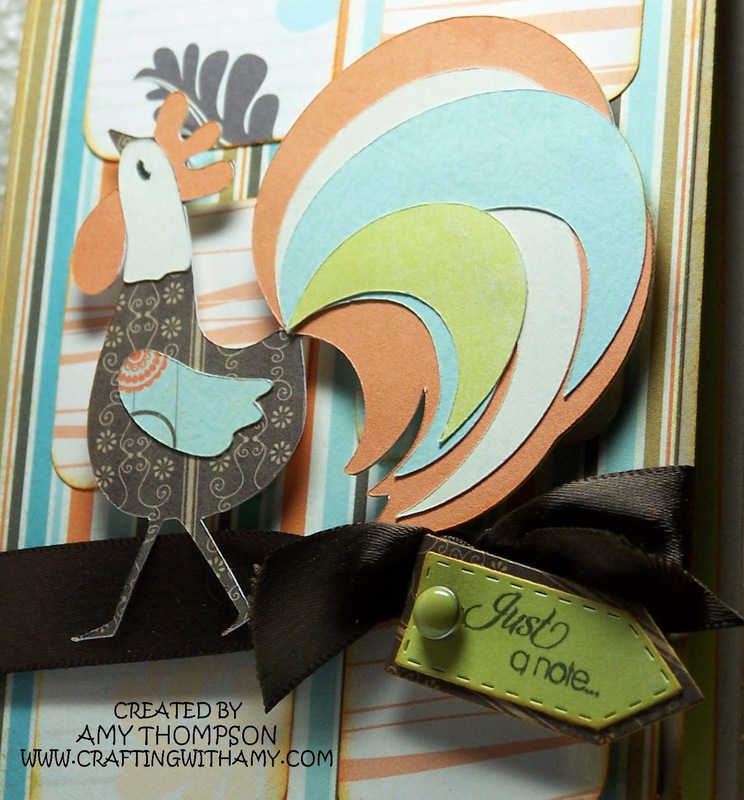 I also used this paper to cut my rooster out using my Gypsy and Just Because Cards cartridge. I think he is sized at just under 4 inches. I inked him up just a little using the Spiced Marmalade again and then I tied the brown ribbon around the card and adhered everything to the card base. 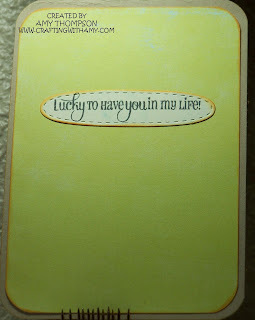 I used my Teeny Tag Greetings & dies from My Creative Time and then popped up the tag using pop dots. 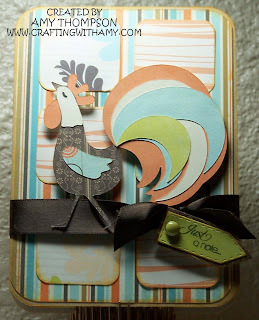 My Craft Spot: Monday Challenge # 47 - For the Birds. 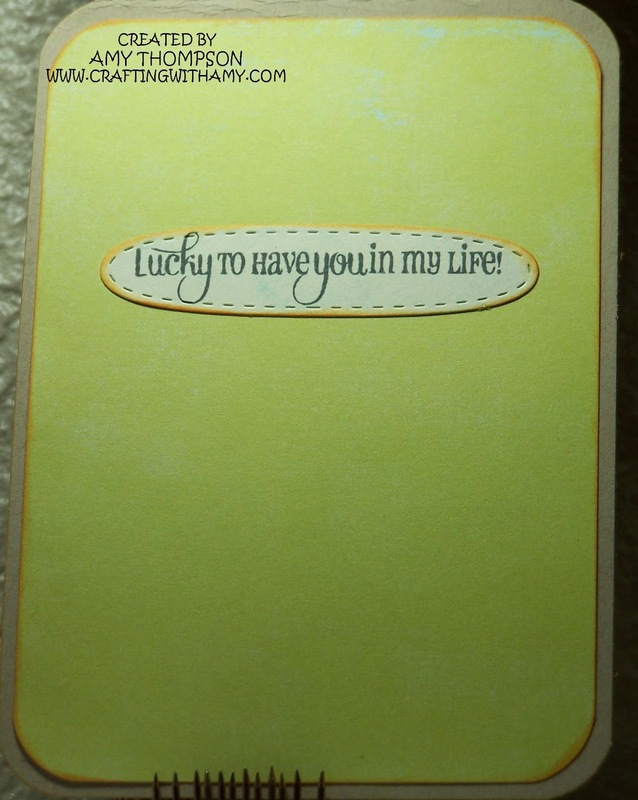 For the inside of my card I cut out a green square, used my Stitched Oval Die and the sentiment using my This and That stamp set all from My Creative Time. 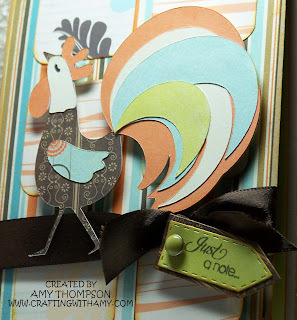 A lovely colourful card! Thanks for playing along with us over at Fetch A Sketch!